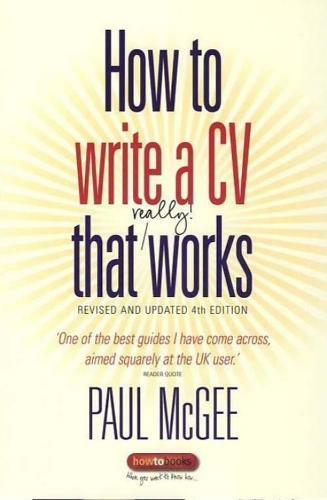 To get the job you want you need a CV that really does the job. This practical, bestselling book will show you exactly how to present your skills, identify your achievements and communicate these successfully. You will learn to focus on your strengths and find out which skills to highlight for which kind of job. The author suggests different styles and uses for a CV, showing how to get the most from your most powerful marketing tool, whatever your background or current situation. And you will find invaluable advice on what to do once you've got an interview. Contents: Preface; 1. Who needs a CV anyway? ; 2. So what have you got to sell? ; 3. Have I got news for you; 4. There's more than one way to present yourself; 5. Getting the introductions right; 6. Using your CV to open doors; 7. And your chosen subject is...You - the interview; 8. Some final thoughts; More sample covering letters; Another sample CV; Glossary; Further reading; Useful addresses; Useful website addresses; Index.